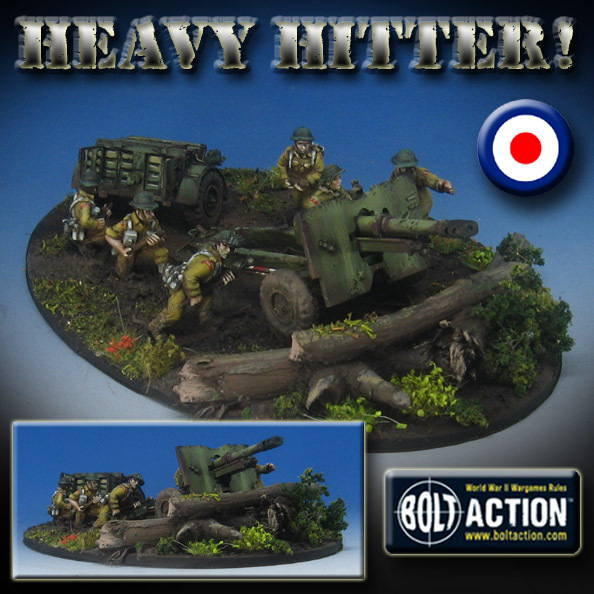 These massive heavy weapon teams always pose a lot of challenges. 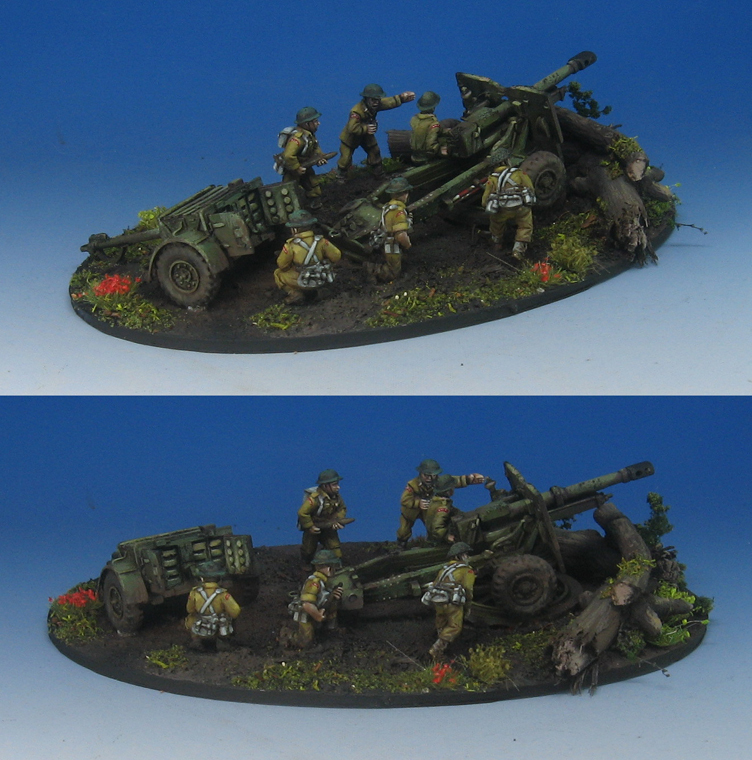 Just assembling the artillery piece is difficult enough! The next challenge is to get everything placed on a base and make it look like the team is actually interacting with the weapon. Having the limber in as well means that even the largest bases can seem like a tight squeeze. 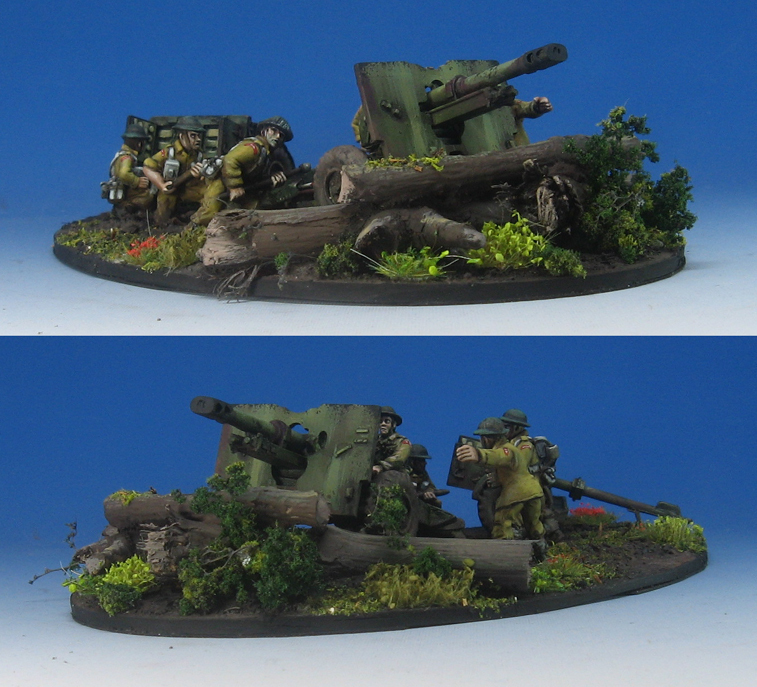 It can also depend on what poses you have on the miniatures. On more than one occasion I have taken some of the plastic boxed set figures and converted them into a more useful pose. Fortunately there were enough poses to choose from, including one that really looked like he was interacting with the limber. 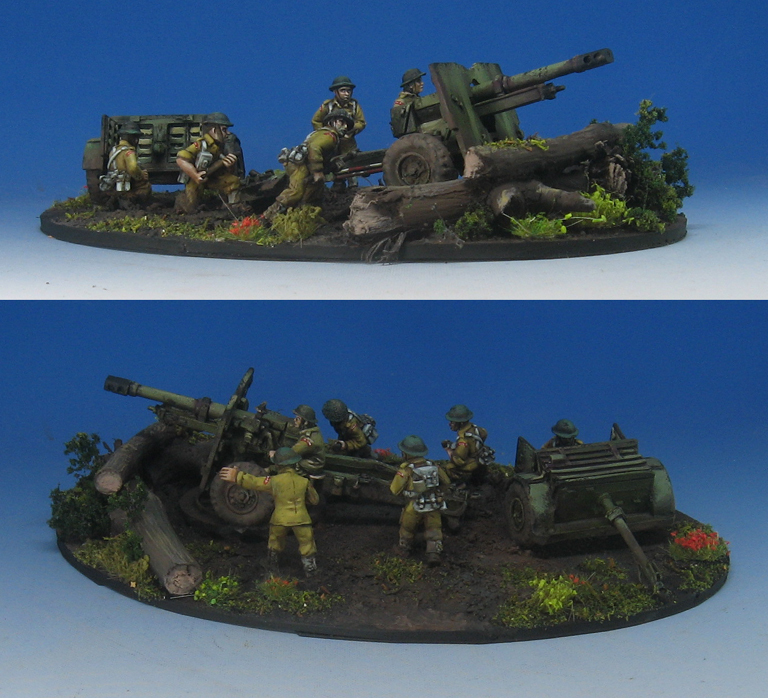 I really enjoy these projects, as they are playable dioramas! Positioning everything so that it looks good from any angle is another hidden challenge. As I paint and flock these, I try to keep in mind the areas which would be trampled more, and the foliage worn away. 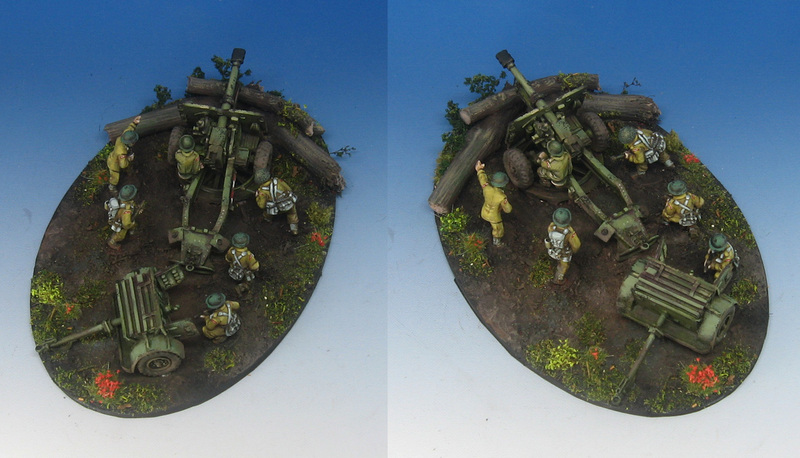 I also have a few other heavy artillery pieces under way... all for our early war games. 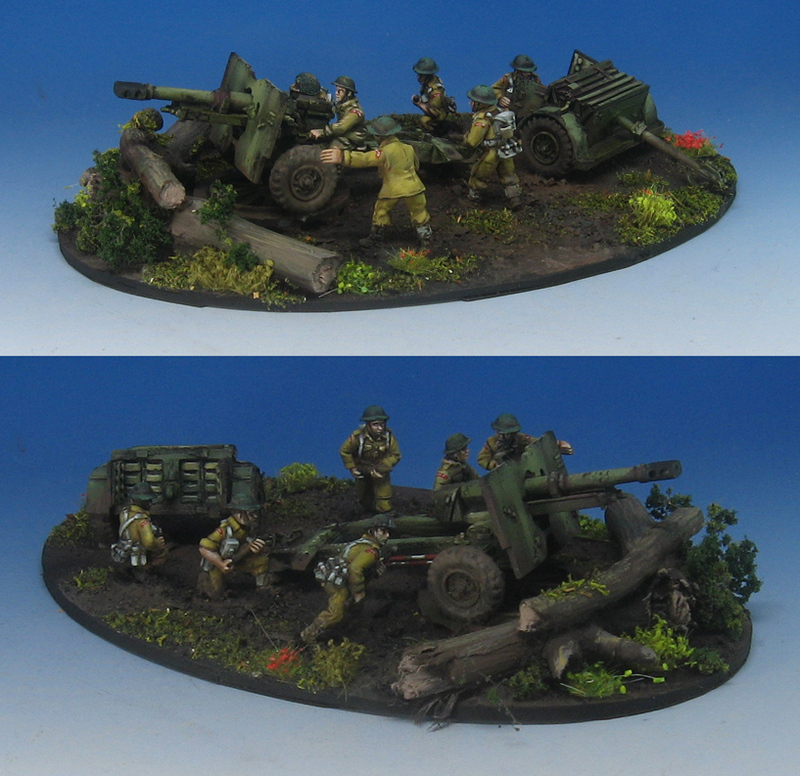 The German Heavy Howitzer is nearly complete.